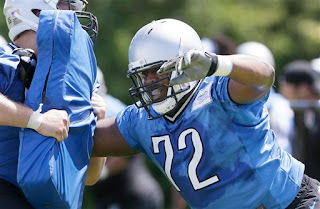 ALLEN PARK — Because LaAdrian Waddle will start training camp on the physically unable to perform list, there is a question for the Detroit Lions at right tackle. Coach Jim Caldwell does not seem too concerned about the position. “I think all in all we’re going to be all right (at right tackle). (Cornelius) Lucas played a lot of football for us and played well. He had ups and downs but he played well for us. We have some young guys who are going to be alright too,’’ Caldwell said on Friday. As a rookie, Lucas started three games at tackle last season due to injuries to Waddle. He didn’t name the young guys but Michael Williams, who made the transition from tight end, could be one and rookie Corey Robinson could be another. Waddle underwent ACL surgery in mid-January. There is no timetable for his return according to Caldwell. While there were reports that former Lions right tackle free agent Gosder Cherilus had visited the Lions, but Caldwell would not comment. 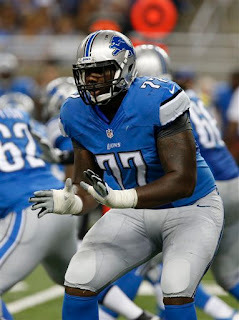 Overall Caldwell can’t wait to see the new-look offensive line go to work in pads. The Lions open training camp on Monday and will don pads later in the week. “Very interested in seeing how they work together, it’s a great group of guys who have the kind of attitude and work habits you like to see,’’ the Lions coach said. With Dominic Raiola and Rob Sims gone, there are openings at left guard and center. Travis Swanson is expected to start at center with Manny Ramirez and Laken Tomlinson battling at left guard. 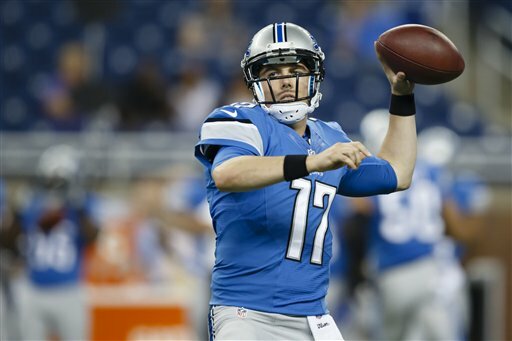 Riley Reiff will be at left tackle and Larry Warford is expected to start again at right guard. 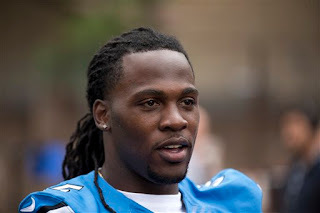 ALLEN PARK — It’s still uncertain when Joique Bell will return to action following offseason surgery on his knee and Achilles. 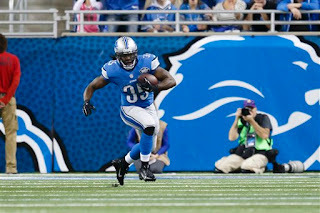 The Detroit Lions running back will start training camp on the physically unable to perform list and coach Jim Caldwell said on Friday that there is no exact timetable for his return. “I’m not sure how long it’s going to take. I do know one thing he’s coming along quickly. We’ll see what the doctor says. We can’t put an exact timetable on it right now,’’ Caldwell said. Bell did not participate in organized team activities or minicamp in the spring, although he was on the field watching. “From a schematic standpoint, he understands and knows how to run the ball, he knows the system and we’re just majorly concerned right now with getting him healthy and he’s well on his way to that,’’ Caldwell said on Friday. He was healthy enough to make a trip to Britain a few weeks ago to represent the Lions and the NFL to promote the Lions-Chiefs game at Wembley Stadium on Nov. 1. Right tackle LaAdrian Waddle and defensive end Jason Jones will also start the season on PUP. “They’re all making excellent progress,’’ Caldwell said. The Lions’ veterans report on Sunday and start training camp on Monday. 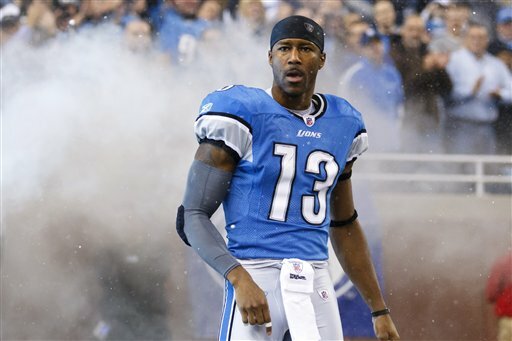 Nate Burleson, a fan favorite during his four seasons with the Detroit Lions, will return to Detroit not as a player but as a broadcaster. Burleson will join Rob Rubick and Matt Shepard in the TV booth for three of the Lions preseason games on FOX2 (WJBK): Aug. 13 vs. New York Jets, Aug. 20 at Washington Redskins and Sept. 3 vs. Buffalo Bills. Burleson was cut by the Lions after the 2013 season. Always a talker, he found a good home working as an analyst on the NFL Network. That gig included a visit to Detroit to interview his former teammate Calvin Johnson. Rubick, a 12th-round pick by the Lions in 1982, and he served as the Lions studio analyst on the Detroit Sports Report and later on Lions Live on FSD. In 2010, he became the color commentator for preseason games on the Detroit Lions Television Network. Shepard, a reporter and host for FOX Sports Detroit, has previously worked as the the play-by-play announcer for Detroit Lions preseason games and as the host of The Ford Lions Report during the regular season on the Detroit Lions Television Network. Shepard also has a morning show on WDFN. 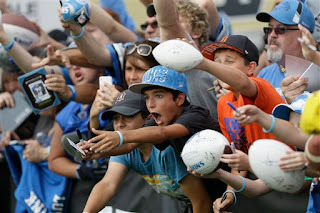 The Detroit Lions open training camp on Monday, 10 days before the first preseason game. 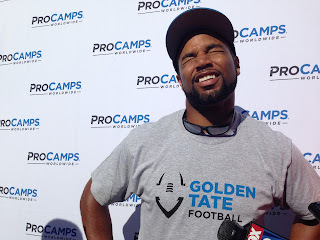 Golden Tate speaks to media at his football camp on Thursday. ROCHESTER HILLS — Golden Tate admits that he’s not entirely educated on the situation with Tom Brady and the four-game suspension handed down by the NFL for allegedly deflating footballs. Still the integrity of the game is key for the Detroit Lions wide receiver, so if Brady's punishment is deserved he has no problem with it. “I’m not totally educated on the situation. I don’t know what’s real and what’s not. I think if you violate the integrity of this game you must be punished,’’ Tate said on Thursday. “We’re always trying to gain more fans — nationally and internationally — when you threaten the integrity of the sport as a whole, you’re threatening the integrity of the people who are inside it also. “If it’s legit and he had actually did have something to do with it, he deserves every bit of that punishment. If he didn’t have anything to do with it, they need to look into it more and be more factual. That’s not for me to really dip in. I hope it works out for the best for both parties. I hope justice is served,’’ Tate added. Tate made the comments at his football camp at Rochester Hills High School. He didn’t bring up Deflategate, but answered the question when asked. The Lions open training camp on Monday. The weekly Lions' chat made its triumphant return on Thursday after a five-week break. So fun to talk to everyone again. Check out transcript here. With the start of training camp set for Monday, there was plenty to discuss. We talked a little about most everyone including Matthew Stafford, Ryan Broyles, Haloti Ngata, Jeremy Ross and tons more. Levy skinny dipping in the Amazon. From the looks of DeAndre Levy’s Instagram account, he’s not too concerned about signing a contract extension with the Detroit Lions. 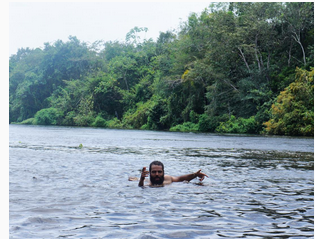 The linebacker posted a photo of himself skinny dipping in the Amazon today (Tuesday). 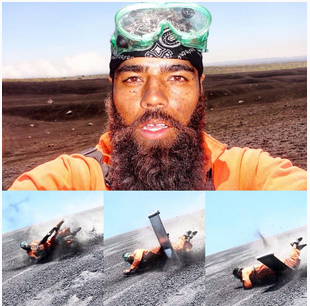 DeAndre Levy sledding down a volcano in Nicaragua. The guy sure knows how to vacation. At least both of those activities seem somewhat safer than wing-walking which he did in the spring. Levy’s contract expires after this season and there has been interest from both sides for an extension. 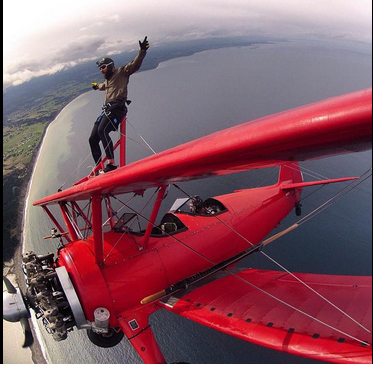 Levy's earlier adventure, wing-walking on bi-plane. Lions’ veterans report on Sunday and start training camp on Monday. Rookies reported on Tuesday. Detroit Lions single game tickets for this season go on sale at 10 a.m. on Wednesday. Tickets will be available through DetroitLions.com or 877-212-8898. Tickets can also be purchased at the Ford Field ticket office between 10 a.m. and 6 p.m. Monday through Friday. The Lions open their home season schedule on Sept. 27 against the Denver Broncos in a Sunday night game at 8:30 p.m.
See complete Lions 2015 schedule. 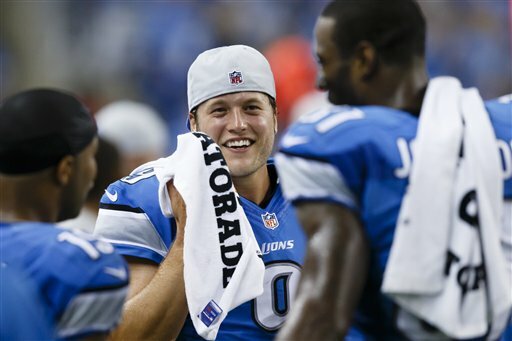 The fate of the Detroit Lions’ offense rests on the shoulders of Matthew Stafford. He knows it, the coaches know it and the fans know it. The quarterback is more familiar with this Joe Lombardi offense. I know you’ve heard that before but it’s true and it’s important. He’ll be able to operate at a faster pace because it will seem more natural to him — he won’t have to stop and think — he can just play. 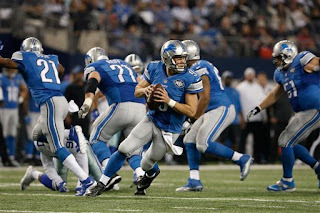 Stafford is a gunslinger, we all know it. Last year Lombardi seemed hesitant to give Stafford the freedom to go deep down field. Lombardi said in the spring — and he’s been consistent with this — that the goal is give Stafford the green light more often. If the running game is improved (as it should be) this will help the effort. 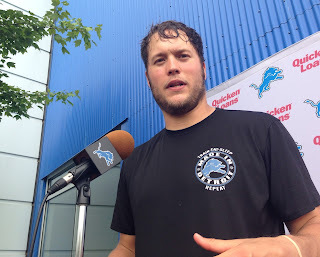 After minicamp, coach Jim Caldwell again talked about Stafford’s hard work. 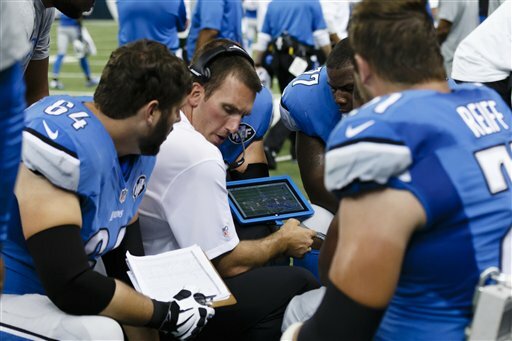 The coach said between minicamp and training camp last year, it was obvious Stafford had been studying the playbook. He expects the same when camp starts on Aug. 3. He just looked more comfortable in the offense during minicamp with the new-look offensive line. Yes, there were no pads or no contact allowed — but he was moving the offense at a much quicker pace. His accuracy was on full display too. This will be Stafford’s seventh NFL season. All that experience in invaluable. He’s got great coaches in Lombardi and quarterbacks coach Jim Bob Cooter who are setting him in the right path. When Detroit Lions training camp starts on Aug. 3 questions will start to be answered. Some players have their positions nailed down, but several others do not. 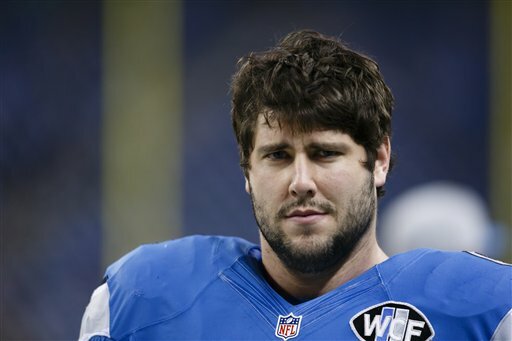 Kellen Moore and Dan Orlovsky will fight it out for the No. 2 quarterback spot. It was Orlovsky’s in 2014, but Moore had an impressive showing in the preseason games and throughout practices last season. The two were basically splitting reps with the second group through OTAs and mandatory minicamp. It will likely come down to who plays best in the preseason games. Manny Ramirez and Laken Tomlinson are the favorites to start at left guard. This coaching staff treats players equal once they are on the field. They will not hand the job to Tomlinson because he was the first-round pick. In minicamp, it was Ramirez that mostly worked with the starters. It’s a young group at defensive tackle hoping to start beside Haloti Ngata. Caraun Reid appears to have the edge heading into training camp. However Tyrunn Walker and Gabe Wright could have something to say about that. The Lions kept six wide receivers (including the Jeremy Ross, the returner) out of training camp a year ago. They’ve got more talent now which could put Ryan Broyles, Lance Moore, TJ Jones, Greg Salas and Andrew Peacock in a battle just for a spot on the 53-man roster. Plus, it’s not a given they will keep six again this year. While Jeremy Ross returned kicks and punts last season, that is not a given. This will be played out in training camp but the crucial tests will be in preseason games. 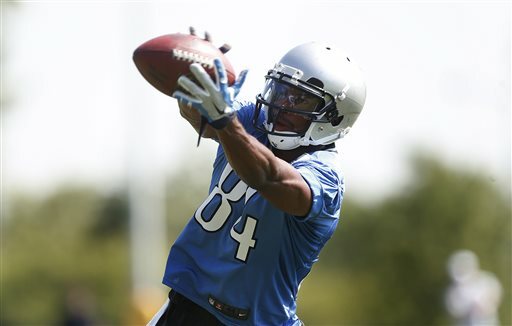 Competitors include Ryan Broyles, Ameer Abdullah, TJ Jones and Lance Moore. It’s still early and the the competition is tough among Detroit Lions wide receivers. This is the first of his four training camps with the Lions that he is not coming off major offseason surgery (two ACLs and Achilles). It appears he’s regained his speed and his explosiveness. Broyles had a good offseason and was solid in OTAs and the three-day minicamp. He was bunched in with the possible returners during both. Bringing that added dimension, could help him keep his job. He remains a bit of a mystery since the coaches didn’t use him much in the 2014 season. At one point coach Jim Caldwell said Broyles was trained to run the same routes as Golden Tate and since Tate was never injured Broyles didn’t get a chance. He can line up on the outside or in the slot. Versatility always a good thing. 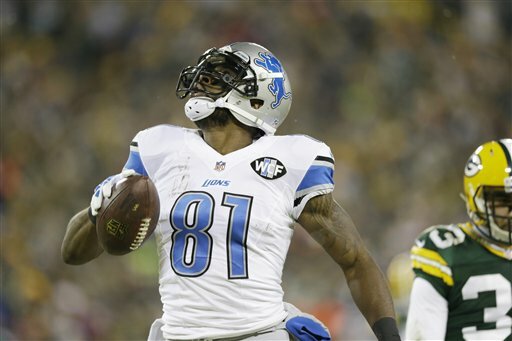 Calvin Johnson, Golden Tate are absolute locks. Lance Moore and Corey Fuller are favored to make roster. Other than Broyles, that leaves Jeremy Ross and Greg Salas as only veterans who have a solid chance. Detroit Lions fans have learned their lesson about being optimistic for a season even if it follows a successful season. I get that. It’s just that it seems so many fans are wringing their hands about the Lions who were 11-5 in 2014 and went to the playoffs. Yes, the Lions blew it in 2012 finishing 4-12 after a successful 2011 season and a trip to the playoffs. These are not the same Lions and it starts at the top with coach Jim Caldwell. The defense was ranked second in the NFL last year and will survive the loss of Ndamukong Suh and Nick Fairley thanks to the effective coaching of coordinator Teryl Austin. The offense is already looking better because they are in the second year of the new Joe Lombardi style offense. Last year they were working to get the basics, this year even before the start of training camp they are working on the details. The run game will be better with Ameer Abdullah and a new-look offensive line. This will take some pressure off Matthew Stafford and let him stretch the field. It’s hard to explain but the right mindset is there thanks to Caldwell. Every team’s goal is the Super Bowl and Stafford admitted (when asked) that certainly it is the Lions’ goal too. But first they have to improve on a daily basis. It’s never smart to judge an NFL draft class until at least a few seasons have passed. That said, the Detroit Lions’ 2015 draft class could provide five immediate starters. It's expected that the top picks should be ready to start, but there are also late-round picks who stood out in OTAs and minicamp. First-round pick Laken Tomlinson was penciled in as the starting left guard immediately after his name was called. He still has a chance to start but he’ll have to earn it in training camp by playing better than veteran Manny Ramirez. Running back Ameer Abdullah, the second-round pick out of Nebraska, could not have looked much better in minicamp. The big test will come when they put on pads in training camp. But so far Abdullah has impressed running the ball and catching it too. Cornerback Quandre Diggs has legitimate chance to start in the slot in the nickel package. He has football instincts with a high football IQ. Defensive tackle Gabe Wright is not a favorite to start beside Haloti Ngata, but that vacancy left by the departure of Nick Fairley is still up in the air. He’s a longshot, but he’s in the running. Cornerback Alex Carter got a late start missing time in OTAs because he was finishing classes at Stanford. He’s very much a longshot to start at outside cornerback. That is where he’s worked and Slay and Rashean Mathis seem to have the starting roles nailed down. We will see. While there may still be a few Detroit Lions fans lamenting the loss of Ndamukong Suh, the team has moved on. Teryl Austin, the defensive coordinator, seems to get the best out of each player on defense. He knows their strengths and uses that knowledge in building the defense. Suh had his best season in 2014 and it was not a coincidence that it was under Austin. Last year Austin was forced to be flexible due to injuries — losing Stephen Tulloch, Bill Bentley and Nevin Lawson early in the season. Not only did the defense survive, it thrived and finished as the second-best defense in the NFL. Haloti Ngata was signed to replace Suh, sort of. Ngata is a different player and never would boast about replacing Suh snap for snap. But he’s a solid, veteran defensive tackle that was only available because the Ravens could not afford his salary cap hit. Ngata, of course, won’t do it alone. A few young defensive tackles like Tyrunn Walker, Caraun Reid and Gabe Wright (who wears Suh’s No. 90) look like they could be ready to take the next step. Word is that Ngata, who did miss some time at OTAs, has displayed leadership. This is key and it was not a strong suit for Suh. 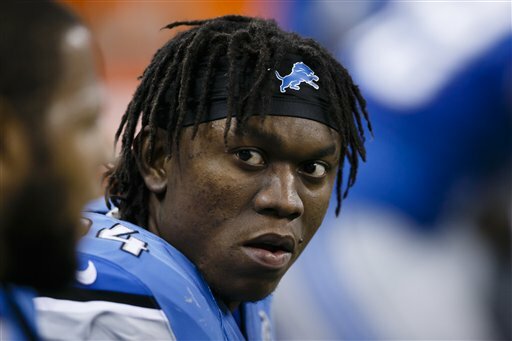 Ziggy Ansah at defensive end has continued to show improvement. He could really step up his game this season and make fans forget about the loss of Suh. 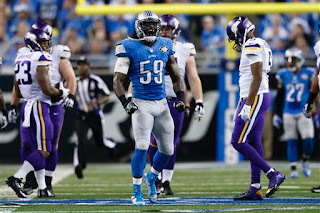 In the third game of 2014, when Stephen Tulloch was lost for the season with a knee injury, Tahir Whitehead got the call to go in at linebacker. Mind you, he had never taken a snap on defense — although he excelled on special teams. He stepped in at middle linebacker and made it look easy which, obviously, it is not. He is good at what he does on defense. With Tulloch returning, Whitehead will be in the mix for a starting outside linebacker spot opposite DeAndre Levy. Because of experience Whitehead probably has the edge. It could be a training camp battle between him and Kyle Van Noy, a pass-rushing specialist. Whitehead might even be better on special teams. He was greatly missed on special teams last year when he played so much defense. Because the Lions run the nickel package so much, as the other outside linebacker Whitehead wouldn’t get as many snaps on defense which would give him more opportunity on special teams. He has emerged as a leader on defense as he enters his fourth season. He was a fifth-round pick in 2012. Lions coach Jim Caldwell leans heavily on his leaders to help get his message across. It’s not like he doesn’t do his own work, but he needs reinforcements. Matthew Stafford took on a leadership role as a rookie even though he was just 21. It’s part of the equation at quarterback. He’s grown steadily into the role each season and is now entering his seventh. He’s not afraid to speak up. He works hard to set a good example. Love the fact that he recently took the offensive line to a Detroit Tigers game as a group to get to know them and for them to know him. They all have to be on the same page. He knows it and is pushing it. Calvin Johnson, the quiet and humble one, is certainly a leader. He’s not a rah-rah guy. Like Stafford he leads by example. He’s also one of the guys and is always willing to help the younger guys learn the craft. Ask Corey Fuller. Golden Tate is just entering his second season in Detroit, but it seems like he’s been around forever. He’s vocal, a hard worker, helps the younger receivers, works in the community and will do whatever it takes to win. The Detroit LIons coaches could have a starting offensive line written in pencil, but there are plenty of questions heading into training camp. LaAdrian Waddle’s health is an issue. He had ACL surgery in January. Will he be ready for training camp or preseason games? No one is saying. If he’s healthy he seems to have the lock on starting at right tackle. Left tackle — This is Riley Reiff’s job. Left guard — This could get interesting. Veteran Manny Ramirez, who was acquired during the draft in a trade, was with the starting group during the mandatory minicamp. First-round pick Laken Tomlinson is in the conversation for the start here but will have to earn it in camp. Center — It seems likely that Travis Swanson will get the start. There are three other centers on the roster at this point — veteran Taylor Boggs, Braxston Cave and Darren Keyton (Central Michigan). One of those three will have to step up big time in camp to over-take Swanson. Right guard — Expect Larry Warford to start for the third straight season. He’s humble and says he knows he has to earn his spot back as a starter, but he is the favorite. Right tackle — Again, if LaAdrian Waddle is healthy he probably will start. If not, Cornelius Lucas who started three games in 2014, is likely the favorite. They’ll all be pushed by Xavier Proctor (who moved from defensive end), Michael Williams (who moved from tight end) and seventh-round pick Corey Robinson. It’s not a complete certainty that Travis Swanson will start at center for the Detroit Lions, but from all appearances he will replace Dominic Raiola who started there for the last 14 seasons. Even though he’s a second-year guy he has experience on the line. Because of injuries, Swanson started five games last season. Four of them were at right guard and one at center when Raiola was suspended. Game experience is huge and the third-round draft pick has it. He was the starting center at Arkansas for three seasons. It appears he was drafted to eventually fill Raiola’s shoes. During mandatory minicamp in mid-June Swanson was in at center along with the starting group. Early in organized team activities Manny Ramirez took some snaps at center with the starters. But it looks like Ramirez will line up at left guard. 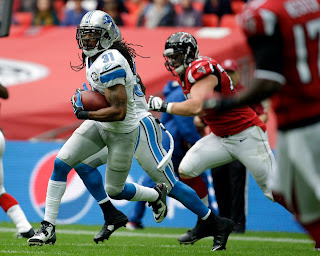 Rashean Mathis will turn 35 in August, weeks before the start of his 13th NFL season. 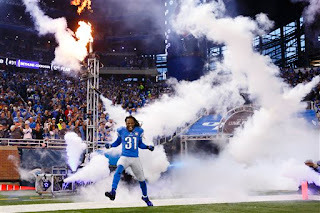 When the Detroit Lions signed the veteran cornerback just before the start of the 2013 season, they may not have realized what exactly Mathis would bring to the defense. He is still effective as a starting cornerback and graded out as the 12th best cornerback by Pro Football Focus for the 2014 season. He’s not loud, but when he speaks he is certainly effective. “He’s tireless. He’s a very effective teacher, outstanding performer, but there’s probably not a time where you see him standing over there and he’s not talking to one of those other defensive backs, whether it’s a safety and talking about a call back there, working out between the split of a receiver, or just talking to some of the younger corners and just talking to them about work habits and body position and technique and fundamentals,’’ Caldwell said. He signed a two-year deal this spring and isn’t sure that will be the end of his career. No reason to doubt him. Jim Caldwell and his Detroit Lions' staff were not in a hurry to push players who are recovering from injuries back into action during offseason work. Stephen Tulloch, who underwent ACL surgery in September, has sworn he’s just fine and yet did not participate in team drills this offseason. Joique Bell underwent surgery in the offseason to clean up a knee and Achilles tendon. It wasn’t considered major surgery. In February he said he planned to be at OTAs, but dodged the question on whether he would be 100 percent. He was on the field watching his teammates in OTAs and in minicamp, but wasn’t able to do individual drills which is usually the first step back. Jason Jones missed three days of minicamp with an undisclosed injury. Coach Jim Caldwell said he had something taken care of and he’ll be back in the fall. But when he says “in the fall” he means training camp. LaAdrian Waddle underwent ACL surgery in January so his timeline is probably right on. It generally takes at least six months for that type of injury to heal. Like Bell, he’s been on the field with his teammates but no drills of any kind. Nevin Lawson was injured in the second regular season game in September, so his foot has had plenty of time to heal. It was a serious injury. The cornerback has been at the offseason workouts participating in individual drills but has been held out of team drills. Joe Fauria injured his ankle in a freak puppy-related incident which forced him to miss seven games in the middle of the season. He was limited in OTAs and minicamp. At minicamp he said he’s “pretty close” to 100 percent and expects to be ready for training camp. He pointed out that every player goes through injuries and he seems fired up to return to action. The Detroit Lions have announced that eight training camp practices will be open to the general public with no admission charge. — Thursday, Aug. 6 at 2 p.m.
— Friday, Aug. 7 at 3:30 p.m.
— Saturday, Aug. 8 at 9:30 a.m.
— Monday, Aug. 10 at 8:30 a.m.
— Tuesday, Aug. 11 at 2 p.m.
— Tuesday, Aug. 18 at 2 p.m.
Also the 7:30 p.m. practice on Wednesday, Aug. 5, at Novi High School will be open to the public. For this event tickets will be required. They will be available via flash ticket registration at 10 a.m. on July 22. See DetroitLions.com for more details. Training camp opens on Monday, Aug. 3. Season ticket members only are invited on Aug. 3 and Aug. 4. The Lions practice facility is located at 222 Republic Drive in Allen Park near the Rotunda Drive exit off the Southfield freeway. Gates open a half-hour before practice starts. If you’re a Lions’ fan it’s a good chance to get an up-close look at the team. Autograph sessions are scheduled each day.